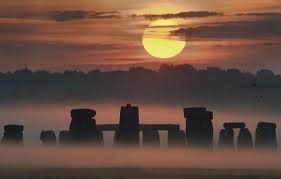 Today is the longest day of the year here in the Northern Hemisphere. In our town, we will enjoy 14 hours and 55 minutes of sunlight today, and at precisely 6:34 pm today, the sun will reach its most northerly spot of the year. Published on May 27, 2016 By Kathy1 Comment on Take a Cycling Trip—Done! Eight hundred years ago, a nine-year-old boy got out of bed and walked outside to stand above the beautiful Tennessee River as he munched on his dried-fish breakfast. He was bummed. Mom and Dad told him he had to help fill baskets with dirt for the new mound at least until the sun was overhead—and then he could go with his friends to play. He fingered his old and chipped chunkey stone in the pouch at his waist. He hoped the morning would pass quickly so he could go grab his spear and start practicing. Last week’s presentation of my Top 100 rock songs brought a complaint that the highest I put a Beastie Boys’ song was #51. Of course that is shameful, but what’s worse is that I completely left off “(You Gotta) Fight for Your Right (to Party).” The Boys don’t deserve that! As I type this, a Hawaiian singer, Israel Kamakawiwo’ole, is singing the beautiful song “Kuhio Bay” on my Rhapsody service. What a voice! Keali`i Reichel is another Hawaiian singer I listen to frequently. His rendition of “Na ‘Ono o Ka ‘Aina” is one of my favorite fun songs that makes me smile. It is about enjoying the abundant seafoods of Kona; in another song Reichel sings about the sublime experience of wearing a fragrant flower lei. When you visit the Grand Canyon and point your camera at its vastness, you think “this looks like a postcard.” And every picture you take is gorgeous. 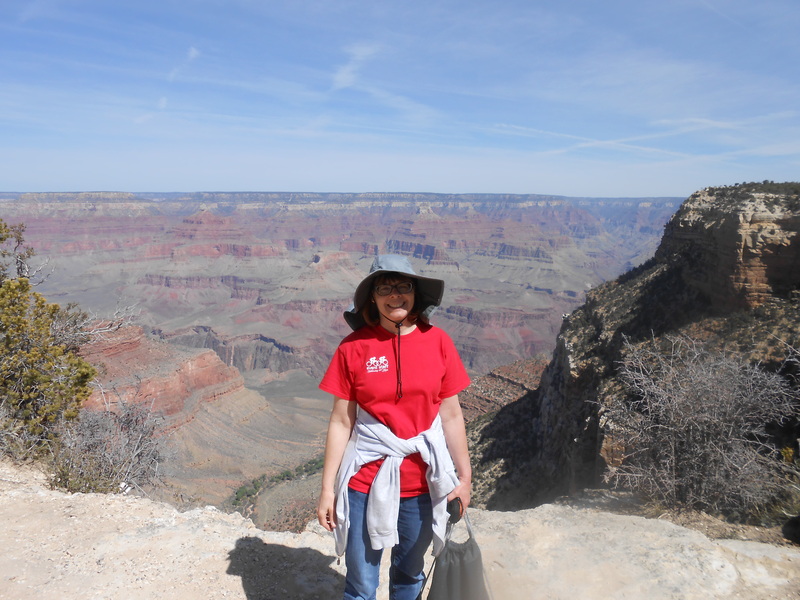 Pictures of you taken in front of the Grand Canyon look like you are standing in front of a postcard. It doesn’t seem real. It’s just too big to comprehend. Published on March 14, 2016 By Kathy2 Comments on Pick a Random Novel—Done!